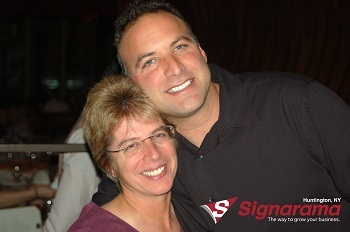 Dawn Tiritter-Bent and Mike Ziccardi are the proud owners of Signarama of Huntington since 1988. Signarama of Huntington's in-house design and fabrication capabilities provide one stop, turn key sign and graphics solutions to fulfill the needs of a multitude of discerning clientele. Dawn and Mike affectionately refer to their company as the “Monster Garage of Sign-A-Rama’s” with good reason, with Dawn’s creative perspective and Mike’s engineering vision Sign-A-Rama has brought to life many challenging and unique sign solutions. Along with our expertly trained and seasoned staff of sign fabrication and design professionals, Mike and Dawn are are always available for consultation on your project.